Lessons from Cuba #2: Reinvent, Reinvent, Reinvent! Do it just like Cuba! We’ve all heard about the classic cars in Cuba and taking a picture in front of a classic car is on nearly everybody’s bucket list. But, have you ever thought about why these classic cars as so popular across the tiny island? 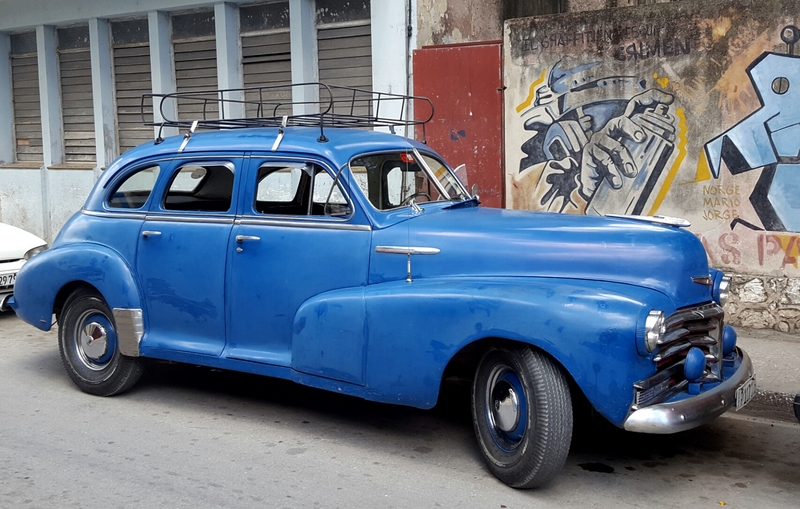 Without the ability to trade with the US or the ability to import cars easily into the country Cubans have learned to make improvements time and time again upon the same vehicle their parents or grandparents purchased in the 1940s. You would not believe how some of these vehicles are stitched together. Many have new stereo systems, some have air conditioning systems, and others lights or other bells and whistles, but the frame and steel body of the car remain the same. Many people don’t get the luxury of throwing away an old car and buying a new one. So, maybe you shouldn’t be so quick to give up on that business idea and go for a new one either. Have you considered tweaking your idea, morphing it into a new idea that better fits the needs of your customers? Even if you have been in business for a while, in order to stay on top, you need to reinvent to stay relevant. Shoot, if Cuba, an island that has, as some people say, been frozen in time since the 1950s, can find a way to make 70-year-old vehicles run, certainly you can reinvent and innovate within the framework of your business to stay in the game.